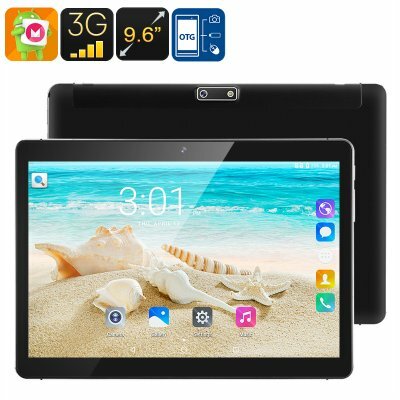 Successfully Added 3G Android Tablet PC - 9.6 Inch HD Display, Android 6.0, Dual-IMEI, 3G, Google Play, OTG, Quad-Core CPU, 4500mAh, 2.1MP Camera to your Shopping Cart. If you are looking for a cheap tablet PC that offers great efficiency – this 3G Android tablet is perfect for you. 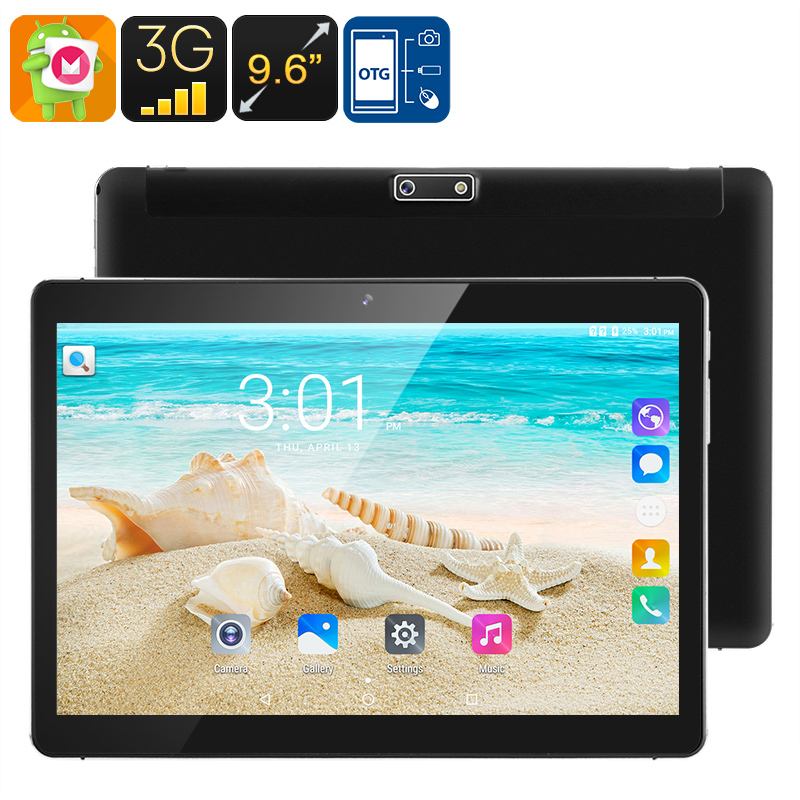 Coming with two 3G SIM card slots and supporting Dual-IMEI numbers, this Android tablet computer allows you to browse the web and stay connected no matter where you’re at. Its 9.6 Inch HD display offers a great platform for playing games, writing emails, and using the internet. It furthermore supports IPS technology thanks to which it displays vivid colors and high details – making it perfect for entertainment purposes. Whether you use this Affordable tablet PC for your study, business, or entertainment – it has an answer to all your mobile demands. This 3G tablet PC runs on an Android 6.0 operating system that comes packed with the latest features in order to provide you with a smooth and efficient experience. With respect to its hardware, this tablet computer packs a sophisticated Quad-Core CPU that has been clocked at 1.3GHz and 1GB RAM. Its 16GB of internal storage can be upgraded with an additional 32GB via its SD card slot. With this hardware at hand, you’ll be able to effortlessly play mobile games, watch movies, and enjoy Android applications without your device ever dropping a frame. Thanks to its 4500mAh battery, this cheap Android tablet computer packs enough power to get you through numerous hours of usage time without needing to worry about running out of juice. With access to the Play Store, this Android tablet PC offers you an unlimited pool of free to download media and entertainment to be enjoyed on its beautiful HD display. Whether you like to use this tablet PC to make notes during your upcoming classes or business meetings or to watch movies and play games – it is capable of meeting all your tablet demands. It furthermore comes with a nice 2.1MP rear camera to snap great pictures and Full-HD video. Additionally, its 0.3MP front snapper is perfect for taking selfies or engaging in online Skype calls with your friends, family, or colleagues abroad. This Android Tablet comes with a 12 months warranty, brought to you by the leader in electronic devices as well as wholesale electronic gadgets..